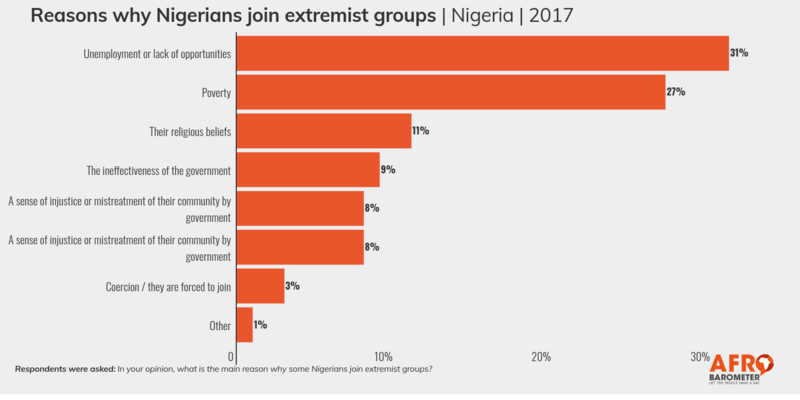 Nigerians say unemployment, poverty, and religious beliefs are the main reasons why some citizens join extremist groups, a recent Afrobarometer survey indicates. The survey reveals that a majority of Nigerians believe international extremist groups are involved in supporting and assisting the extremist groups that have launched attacks and kidnappings in Nigeria. A majority of Nigerians praise the efforts of government and the Nigerian armed forces in combating armed extremism in the country. 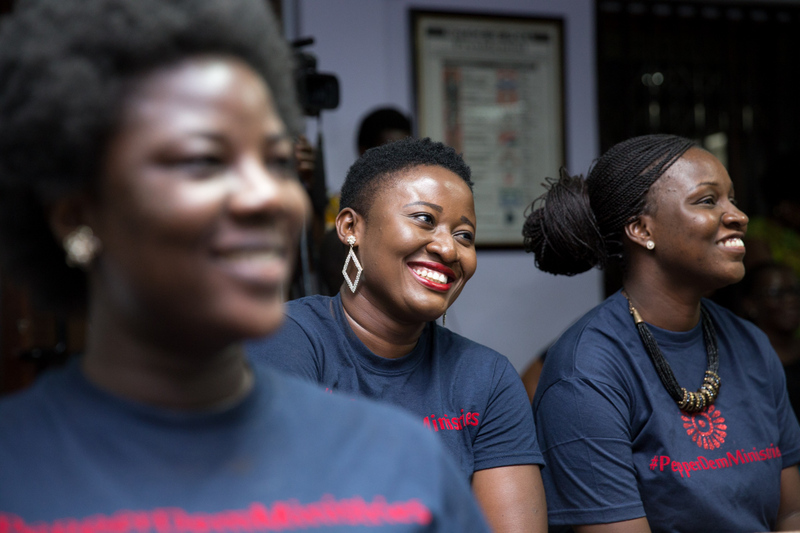 They suggest the best ways for the government to address the problem is by strengthening the military response or military capabilities, improving the economy, and creating jobs. The findings are being released in a period when security concerns have been raised following the African Union’s warning that more than 6,000 dislodged Africans who fought for the Islamic State of Iraq and Syria (ISIS) could be returning to West Africa to join and try to strengthen Boko Haram.